We make tube amplifiers, passive preamp and speakers, and supply parts for DIY Hifi project. A revolutionary design, the ultimate RCA interconnect. 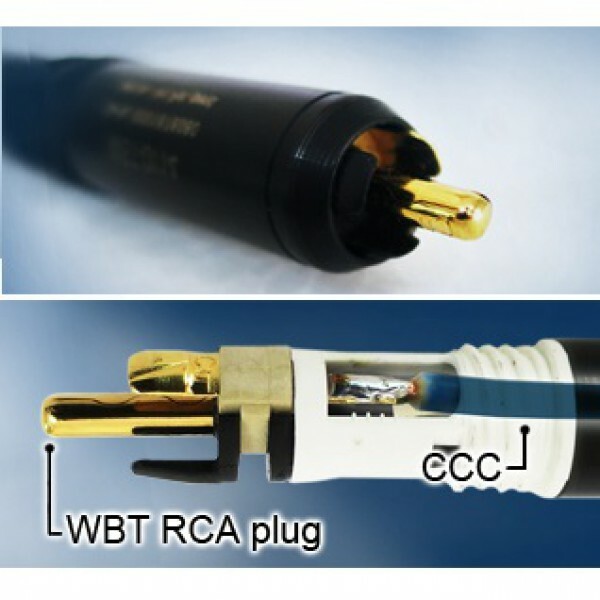 This cable uses a 3mm continuous cast copper as its signal + wire and also as the hot pin of the RCA connector; there is no loss in signal transfer from the connector. The dream cable: no connectors. A must for those seeking the absolute. Because of the stiffness, customers are requested to add 8″ (20cm) extra on their required lengths. Continuous cast copper is also employed in the return path and is constructed in a helical structure. An upgraded version of the high energy X10 IC in continuous cast copper. For single ended version, WBT connectors are employed. For balanced version, Neutric connectores are employed. An extraordinary dynamic interconnect. The emphasis on speed, punch, wideband performance — making it one of the most interesting interconnects, particularly for Jazz music. This is a very linear cable.. 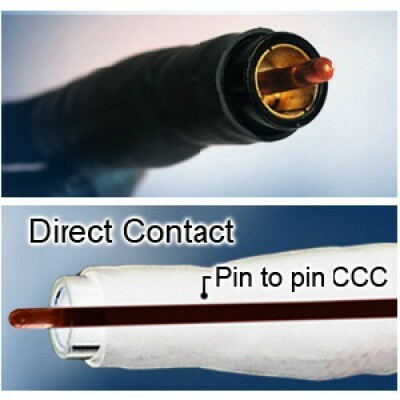 The cable is composed of 1.8mm² and 2.5mm² copper cable. Magnetic grounding is incorporated for noise reduction. It does not magnetize over long period of uses, only gets better and better. The cable is shielded with aluminium foils and RF rejection coating. $100 for a pair of 1 meter cable. Maximum length is 10 m.